Art book lovers attending Art Brussels will have the chance to see Melanie Matthieu’s “Lâmo Lâva” on display once more when the Mondriaan Fund and Flanders Arts Institute’s ‘Tables’ (Tafels) exhibition completes it’s second run in April 2015. 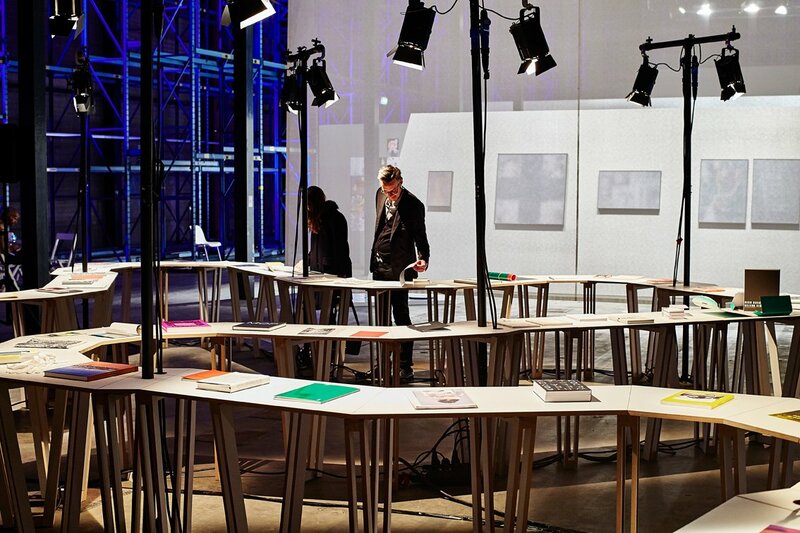 Following the display of ‘Tables’ (Tafels), at Art Rotterdam in February, the presentation of 80 artist books from Holland and Flanders, will move to the Belgian capital from 24-27 April at the Brussels Expo. The diverse range of books being presented were selected by Maaike Lauwaert (curator, art critic) and Luc Derycke (designer, publisher) and will be displayed on a table designed by visual artist Hendrik-Jan Hunneman. The Brussels section of the presentation will also include an hour allocated to guest speakers where talks will be given by Phillip Van den Bossche (Mu.ZEE), Nikolaas Demoen (Publisher: Posture), Astrid Vostermans (Publisher: Valiz), Johannes Schwartz (artist), Bas Vroege (curator), Johan Pas (art critic) and Koenraad Dedobbeleer (artist) among others.